Any idea of the specific name of this Kalanchoe? I grew it from a cutting. For a good identification, we need a mature plant with flowers. Are you sure it's a Kalanchoe and not a Plectranthus, for example ? Thanks Tom. I'm not sure of the genus and in fact some Plectranthus seem rather similar. Hopefully it will flourish in the future and I could resolve my doubts, although must wait at least one year. Does some Kalanchoe smells something? Plectranthus does. You mean the leaves ? Tu penses aux feuilles /you mean the leaves ? I have also never observed any smell on Kalanchoe leaves. 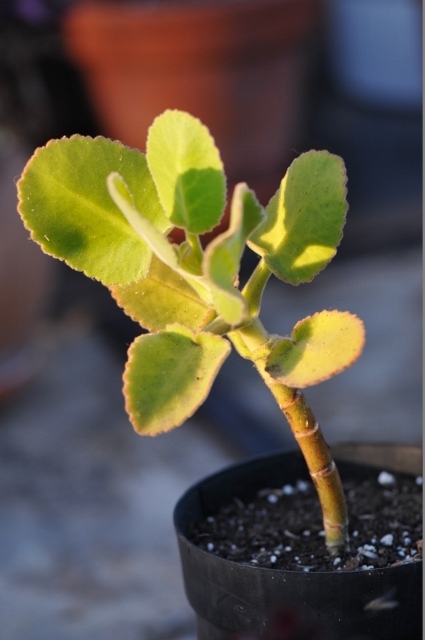 Tengo ésta planta identificada como Kalanchoe lateritia, pero aún no floreció para poder confirmar su nombre. Yes, that 's what I mean. I just found this old post, so don't know if my input might still be helpful... I'm pretty sure that this is a young K. pubescens - the stem is thick, and the leaves are fleshy, petiolate, auriculate and amplexicaul. I can't think of any other species that (even sometimes) has this combination. 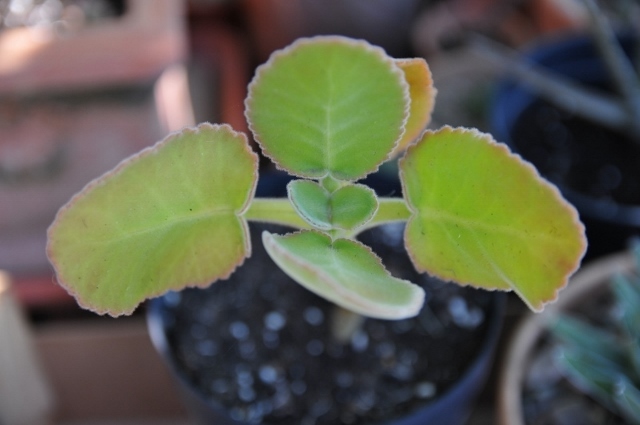 About leaves that smell on a Kalanchoe I can only think of K. aromatica, which unfortunately I've never seen in person. I agree with Ronen, my young K. pubescens looked the same and also had reddish leaf-margins!